Cosy Toes is a New Zealand business located in Rotherham, North Canterbury. Rotherham is a small rural township with a wider rural community. From our small township our products are shipped all over New Zealand and the world. Cosy Toes® was founded by Tracey Topp in 2005. I have two sons and in 2005 Drew was 2 and a half years old and Logan was not quite a 1 year old. "I couldn't find any warm socks for two my boys and I couldn't work out where all the wool socks had gone from when I was small." I was brought up on a North Canterbury sheep farm in New Zealand. I helped on the farm and worked in the shearing shed and loved lambing and tailing time. I grew up with wool, having fun in it and also wearing it and I just knew the benefits of this natural fibre because it was a huge part of my life. "I hate cold feet and I have an eye for a quality sock!" Cosy Toes® was created from a need for my family. I decided to do some research and find out what had happened to our wool industries in New Zealand and the decline of the use of wool. After a lot of searching and phone calls I found one manufacturer in New Zealand who was willing to work with me and manufacture baby and children's wool socks. I live in rural New Zealand and so the options of bringing socks back into the market were limiting for me as well as looking after my young family as the first priority. The only option I had was to open a shop online and start to give other shops the chance to also stock them. From this websites first surprise order in 2005, Cosy Toes® has grown to extend its merino wool sock range and has branched into bigger sizes for adults and more variety - tights, blankets and clothing. I try to keep all the Cosy Toes products wool related and what our customers are looking for. The orders go all over New Zealand, Australia, United Kingdom, United States and Europe and sometimes further around the the world. My mission is to bring you a broad and practical range of quality wool products. I'm continually looking for what my customers need. I believe that every child should grow up with wool just as I did and think no different of it. My aim is that Cosy Toes will become a household name and every child will grow up with Cosy Toes on their feet. Cosy Toes® is here for you in one place, available all year round and direct to your door. When you order from Cosy Toes you are supporting my business which in turn is supporting my family. 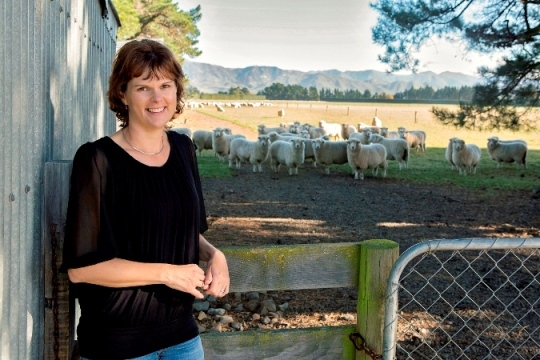 You are also helping boost the values of New Zealand wool. My interest not only lies with using merino wool for our products. To appreciate and help promote this wonderful fibre we support many other wool related industries in New Zealand and globally . You can read interesting up to date wool news right here. I welcome your feedback and thank you for being here. P.S Cosy is spelt with an S because that's how New Zealand, Australian and United Kingdom spell it but in the U.S.A it is spelt with a Z - Cozy Toes. Read the Cosy Toes reviews from our happy customers.